My top 5 exercises for running performance. – Pain. Health. Exercise. My top 5 exercises for running performance. Running is gaining in popularity over the last 10 years, especially with the young adults. Since shifting to a new estate in the Northeast, I have observed so many more runners, some even at night! With the increase in the amount of people running and the number of running events held, I believe many running enthusiasts will be interested in improving their running performance. However, without help, only few can boast about their results. What could be some reasons for the failure? You did not train frequently enough. You did not attempt to progress from what you were doing. You were constantly exercising below your ability. You did not incorporate a strengthening program. In order to improve your running performance, you can either strengthen your peripheral muscles, your heart muscles or both together! This is my suggestion for you to start today. You do not need gym equipment or a trainer, but a training partner will be very nice! Do keep me posted about your result! These exercises may not be suitable for you if you are suffering from pain in the lower limb. Speak to your healthcare provider before attempting these exercises. High intensity interval training (HIIT) is all the rage at the moment. High intensity training is time-efficient yet effective because you train at a high intensity for your heart and peripheral muscles. When you consistently perform at a vigorous intensity, your heart muscles get stronger in pumping blood. This improves the efficiency of delivering blood because every single pump is of a greater volume. As for your peripheral muscles, they at made to work at a stressful level/threshold, thus increasing their tolerance over time. Perform this 2-3 times a week but not on consecutive days as your muscles need time for recovery. If you are absolutely new to this form of training, you may require a longer interval (few days) between sessions. i do this at a running track with markings on the ground. 100 metres sprint at maximal effort. 100 metres of light jog. Sprint at maximal effort for 20 seconds. Light jog for 60 seconds. Cool down light jog 5 minutes. Stretch after. As you get better, you may attempt longer distances. If you are >45 years old, you will need to see a doctor to certify your fitness before engaging in this form of high intensity training. This is because, the older you are, the higher the risk of having pre-existing medical conditions that may not allow you to participate in vigorous activities. For example, high blood pressure is one risk factor. DO NOT TAKE RISKS. Refer to this website for more details. The quadriceps, gluteal maximus and calf muscles are the powerhouse muscles that propel you forward when you run. Strengthen these muscles all at once with this simple bodyweight exercise. Perform 3-5 sets of 20-25 steps. Stretch after. If you run quite alot but have weak gluteal and quadriceps muscles, or flat feet/over-pronated feet, there is a risk of developing anterior knee pain due to mal-alignment of your lower limbs. To minimise this risk, you can attempt this exercise which corrects your lower limb biomechanics. Stand on one leg, with knee slightly bent. Push the non-standing knee against the wall as hard as you can. Hold this position as long as possible. You should feel the outer side of your buttocks ‘burning’. Do not allow your ankle to roll outwards, maintain contact with the ground with the balls of your feet. As you get better, increase the duration of muscle contraction. Core strength is important for performance of any sports but often neglected. Running coaches often incorporate core muscle strengthening to improve running performance. This is the most basic exercise but effective. 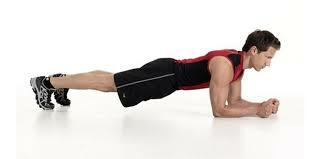 Attempt the plank position for 30 seconds, or as long as you can keep your spine straight. Avoid bringing the buttocks high, or allow your head to drop low. 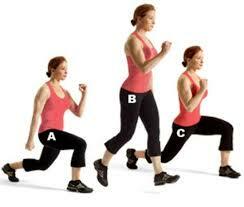 As you get better, add alternate leg lifts, holding each lift for 5 seconds (B). You can also try adding alternate hand lifts. This drill aims to develop hip flexor strength and speed and is especially useful for sprinting. Perform 10 – 20 seconds for each leg, 3 sets each. Progress every week by 10%. If you have been slack for a week doing less, do not progress. It’s better to progress slowly than to risk getting hurt. Stay safe! Guojie is a musculoskeletal physiotherapist who believes strongly in exercise. He used to represent his school in basketball. So far, he has done 2 half marathons with a best timing of 2hr 10min. He has not tried running a full marathon because he is unable to dedicate time for the training. His regular exercise would include HIIT 2 times a week and he runs moderately on the weekend. He tries to add one day of strengthening in the gym. He believes in training specifically for his goals. 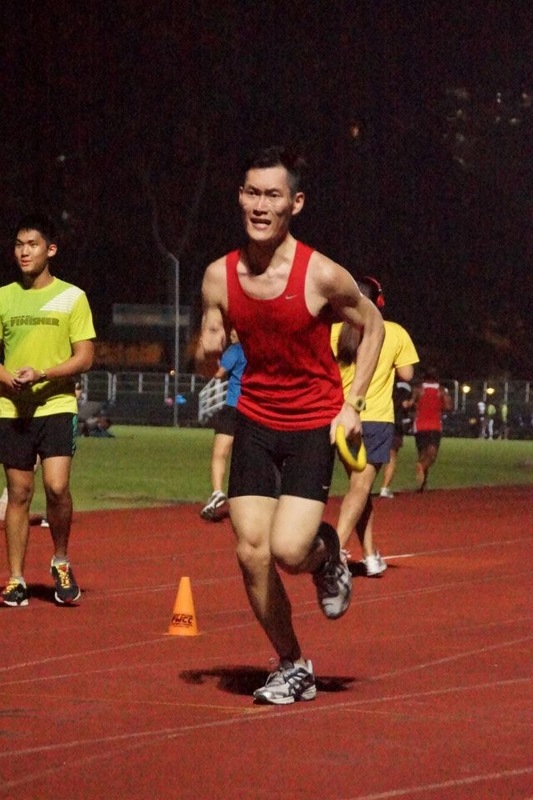 From the age of 29, he has been achieving GOLD standard for his IPPT over the last 2 years. He claims that he cannot achieve all these without the support of his wife, who is also an avid sportsperson like himself. Previous Post Welcome to pain-physiotherapist! Next Post Adding education about pain for physiotherapy treatment?